I cannot believe how long its been since I've blogged! I've been a very bad blogger, but definitely a very busy girl! 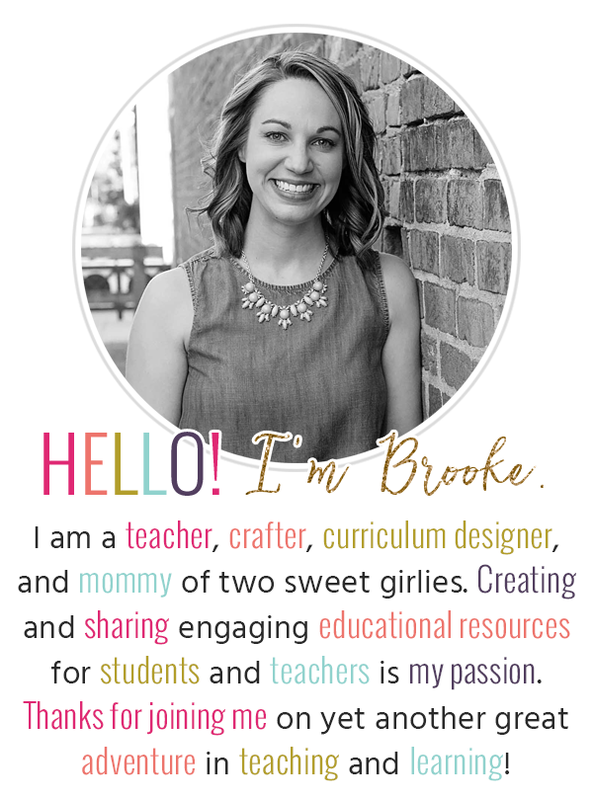 I'm not sure how some of you super-bloggers do it--I'm barely keeping up with my duties as classroom teacher, team leader, mentor, practicum cooperating teacher, wife, and mommy. Any tips for keeping it all balanced would be greatly appreciated!! Anyways, even though I've been away from my blog, I've still been creating some things to share, so here is one quick one! Drum roll, please...okay, they aren't that exciting, but hopefully useful for some of you! 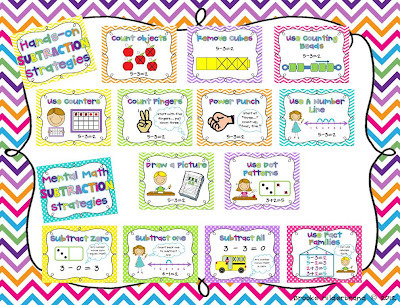 These are my Addition and Subtraction Key Word Posters I'll be using over the next few weeks as we start mixing addition and subtraction story problems. 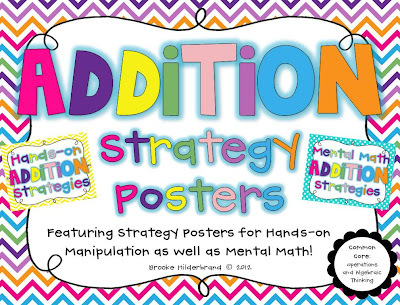 We've already been using My Hands-on and Mental Math Strategy Posters for Addition, and my kiddos loved them so much that I just had to make Key Word Posters and some matching Subtraction Posters, too! 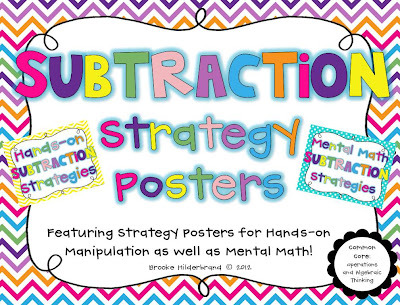 So, for those of you who requested them, the Subtraction Posters are now available in my TPT store! Just click the pics below to check them out! 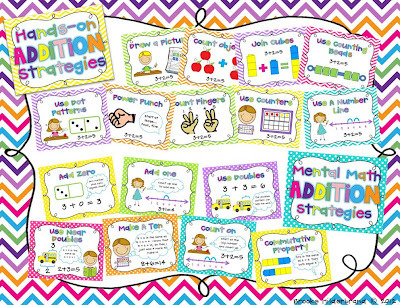 Thanks for a very cute resource - would you be able to make matching division and multiplication key word posters?